The Department of Romance Languages and Literatures celebrates Hispanic Cultural Heritage Month with a conference in honor of the centenary of prominent Peruvian author, anthropologist and literary critic, José María Arguedas (1911 – 1969). To complement the scholarly sessions and roundtable discussion of his work, the conference features a rich cultural program about the cultures of the Andean region of Peru. During the conference, Falvey Memorial Library will host an exhibit, reception and book presentations featuring recent books on Andean studies. The event will be held on Friday, Oct. 28, 2011, at 12:00 p.m. in the library first floor lounge. Generally considered one of the foremost figures of 20th century Peruvian letters, Arguedas was born in the province of Andahuaylas in the southern Peruvian Andes. He was brought up among Quechua Indians, and learned Quechua before Spanish. He wrote mainly in Spanish although some of his poetry is in Quechua. 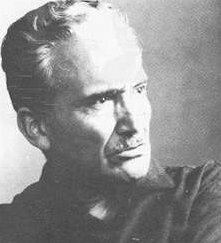 His best-known works include Agua (1935), Yawar Fiesta (1941), Los rios profundos (1958), La agonía de Rasu Ñiti (1962), Todas las sangres (1964) and El zorro de arriba y el zorro de abajo (1971). You can listen to Arguedas reciting his poem “Canto a nuestro padre Tupac Amaru” here.